Hello readers, how are you today? Me, feeling tired. I can’t sleep last night, maybe because my baby is growing up so fast. As in ang laki na ng tyan ko and it’s so difficult for me to get the right and comfortable sleeping position, plus I can’t breathe. I don’t know why but according to my friends, ganon daw talaga pag buntis medyo hirap narin huminga and laging hinihingal. That's fine with me, ika nga nila it's natural for pregnant woman. Anyway, I just want to share with you our happenings last Saturday. Grabe as in nakakapagod but it’s all worth it. I will give you a quick update then will post separate reviews to our events. Hehe. 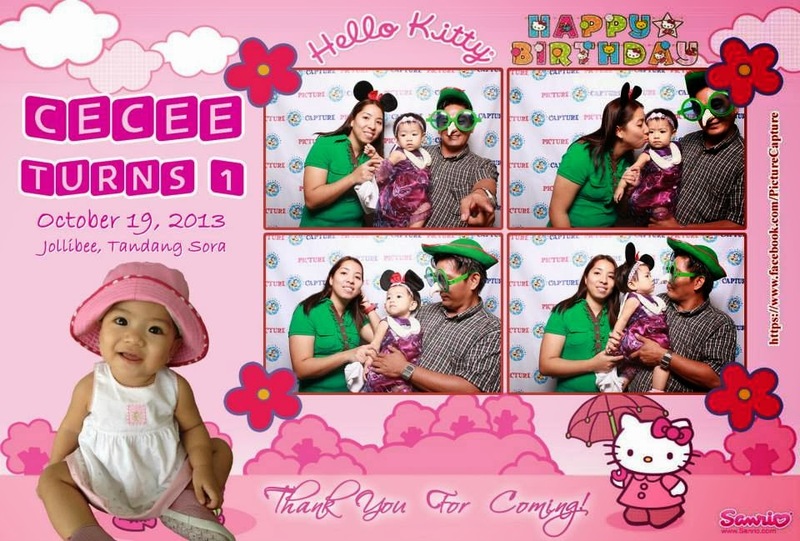 Morning, we went to our friend’s baby shower at Mc Donald’s Taguig. It’s so nice to see her again, super laki na ng tyan nya and you know what one month lang pagitan namin sa panganganak. She will deliver her healthy baby boy on December 25 while on January 26, 2014 is my schedule. So next year pag nag reunion ulit kami, halos lahat na kami may dala ng baby.. Ang saya lang. Then, after our quick merienda we decided to left BGC and explore QC. We have photobooth event in Tandang Sora courtesy of my husband’s officemate. Grabe, as in road trip ang nangyari because we went at Jollibee Tandang Sora Visayaz Avenue but you know what, hindi pala dun ang party.. OMG! 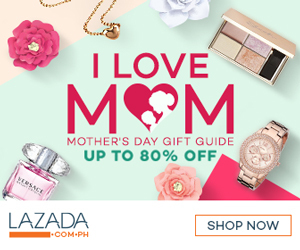 Sa Tandang Sora Commonwealth pala! It’s already past 4pm and still we’re on the road, hello 4:30 yung event.. Waaahh.. We called his officemates and ask for the directions, as in literal na naliligaw kami.. Huhu. What worst was nahuli pa kami ng MMDA dun, Obstruction of Justice daw. Okay fine, sorry 1st time namin pareho sa QC eh, on that specific place kaya di namin alam, buti nalang pumayag si kuya na pag usapan nalang namin.. Hehe..
After the event, my husband decided to visit UP. Imagine, it’s already past 7 and still my husband wants to have some food trip in UP. Well, matagal na namin talaga balak mag food trip sa UP kaya lang laging nauudlot because of the typhoon, finally natuloy rin kami. Our target is to try the famous The Iscreamist, Ian has been raving about this store so we make sure na di kami aalis ng UP not until matikman namin yung mga ice cream dito. But before that, we had our healthy dinner first. 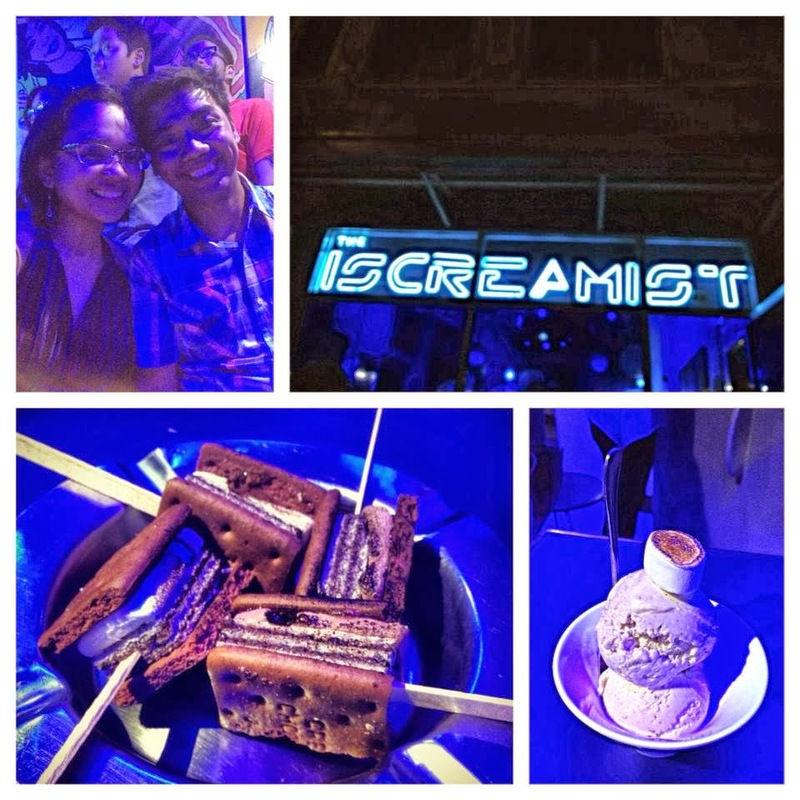 Ang dami pa kasing nakapila sa The Iscreamist, as in Blockbuster. It’s already past 10 in the evening when we decided to go home. Pagod na si baby ko and pagod narin asawa ko sa kaka drive. Yan tuloy, SL sya today. #getwellsoonhubby. It’s a very tiring day for both of us but worth it and super saya. So wait for my next post. Have a great day!